Snow in late March is as unexpected as Michael Gove, the Secretary of State for Education, embracing the world we live in today. Golly – The Blob has a great deal to answer for if this is indeed the case. Gove’s academy and free school agenda is designed to destroy this cabal, as is his determination to move responsibility for teacher training from the ideologues in universities into schools. As someone who has worked in schools for nearly 30 years I am struggling to reconcile Gove’s world view with my experience. As Principal of an independent school, I can hardly be described as a Marxist or indeed a card carrying member of The Blob. Yet I share the concern of fellow educators about the direction Gove is determined to take us. His talk about standards and rigour is all sound and fury. Standards and rigour are not antithetical to an education which values higher order thinking. In the internet age, this particular trivium is absolutely essential. Of course knowledge matters but to focus on this without any reference to the learning challenges of the digital revolution is not just shocking but irresponsible. At the touch of a finger on a myriad of devices young people can access so much information. How are they to understand this world unless they learn in ways appropriate for this century and not the last? It strikes me that Gove is living in a world of certainties which looks in upon itself with wonder – he will slay The Blob and all its works and the Holy Grail of standards will be achieved. Actually, Mr Gove, the future is uncertain and the rigidity of thinking evidenced in the Mail Online article is deeply concerning. Living in Cambridge cheek by jowl with Silicon Fen, we enjoy an insight into the future. It is extremely odd that whilst other ministers in the government fete this city for its innovation and excellence, the Secretary of State for Education does not appear to understand how our future success depends on an educational system which values “cognitive development, critical understanding and creativity.” Our young people deserve better from the true “enemy of promise”, Mr Michael Gove. This entry was posted in Creativity in learning, Examinations, General, Thinking skills and tagged collaboration, creativity, independent thought, qualification, technology on April 4, 2013 by Tricia Kelleher. 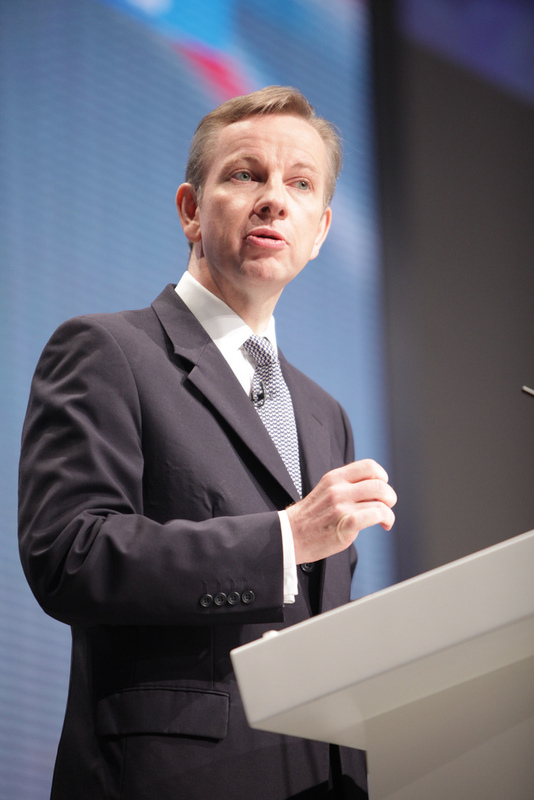 That Gove is ‘living in a world of certainties’ divorced from ‘the world we live in today’ is painfully obvious in the draft history curriculum, which replaces the encouragement of critical thought, the application of knowledge and the promotion of diversity and multiculturalism with the rote learning of a laughably Whiggish, celebratory narrative of white, male, Protestant elites, especially those carrying a gun. If you oppose it please sign epetition against it at http://epetitions.direct.gov.uk/petitions/46338 and respond to the DfE’s consultation at https://www.education.gov.uk/consultations/ .